Beringia (start time 0:55). We present an excerpt of Shelly Schlender’s interview with University of Colorado scientist John Hoffecker, lead author of a recent paper in Science magazine about the Beringia land bridge and the people who lived there 25,000 years ago. The full interview can be found here. Dolphins & Climate Change (start time 4:40). Dr. Denise Herzing, the founder of the Wild Dolphin Project, has been building relationships with Atlantic Spotted Dolphins for 28 years. Her quest to learn whether dolphins have language, and to learn that language, is notable for its longevity. But her relationship with them is remarkably respectful, too. We last spoke to Dr. Herzing in the spring of 2012, about her book Dolphin Diaries: My 25 Years With Spotted Dolphins in the Bahamas. We’re very glad that she’s with us again, to help us learn about how large marine mammals may be responding in unusual ways to changes in the oceans. The Ogallala Road (start time 15:15). We often hear about how the Colorado River is running dry. The Western states that rely on its flowing water are struggling to reckon with how its depleting reservoirs will satiate growing populations. You’ve probably seen images of the white “bathrub rings” at Lake Powell and Lake Mead that expose the water line rings of years ago. But there’s an equally dramatic and dangerous drop in an invisible source of water. That’s the Ogallala Aquifer – an underground basin of groundwater that spans eight states on the High Plains, including Colorado. Nearly one third of irrigated cropland in the country stretches over the aquifer. And the Ogallala yields about a third of the ground water that’s used for irrigation in the U.S. The story of the Ogallala’s depletion is a very personal one for author Julene Bair. She lives in Longmont, but years ago she learned that the family farm in Kansas that she inherited had been a big part of the problem. Julene has written about her journey, including her desire to make the farm part of the solution. 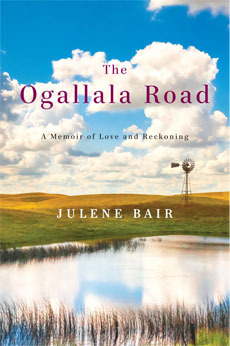 Julene joins us on the show to talk about her new book The Ogallala Road: A Memoir of Love and Reckoning. 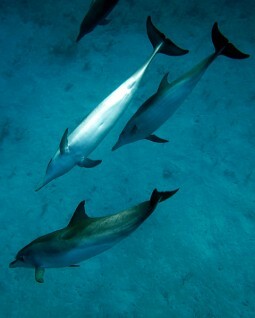 Dolphins are intelligent and communicative creatures within their own species and with the other animals native to their waters. Still, a hundred million years of evolutionary history and pressures imposed by radically different environments separate dolphins and humans. Can that enormous chasm be crossed? Can we have a conversation with an alien, a different and intelligent species? Twenty-seven years ago, Dr. Denise Herzing first slipped into the warm and clear Bahaman waters in a quest to answer those questions. And every spring since then, she has gathered the crew, the equipment, the money, the courage and the patience to return to work cooperatively with them, unfettered in the wild. 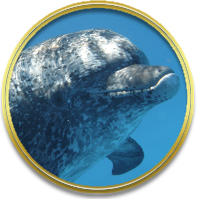 Dr. Herzing believes that first we have to understand dolphin society and give them the freedom to choose to communicate with us. This week on How On Earth, Jim Pullen talks with Dr. Herzing about how she communicates with Atlantic Spotted dolphins (start at 6:48).